A couple of weeks ago, my friend Anne mentioned that she had an extra ticket to Michael J. Gelb’s book launch, and she asked if I would like to attend with her. 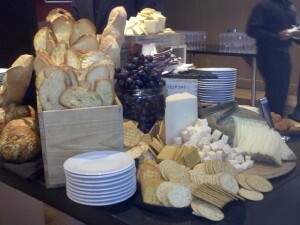 The event included a wine tasting, some food, and a copy of Gelb’s book. Combine all of that with Anne’s good company and there was no way I was going to miss the event. So, Monday night after work, I headed to Zola Wine & Kitchen, where the DC launch for Wine Drinking for Inspired Thinking: Uncork Your Creative Juices was held. Overall, the event was fun and well attended. 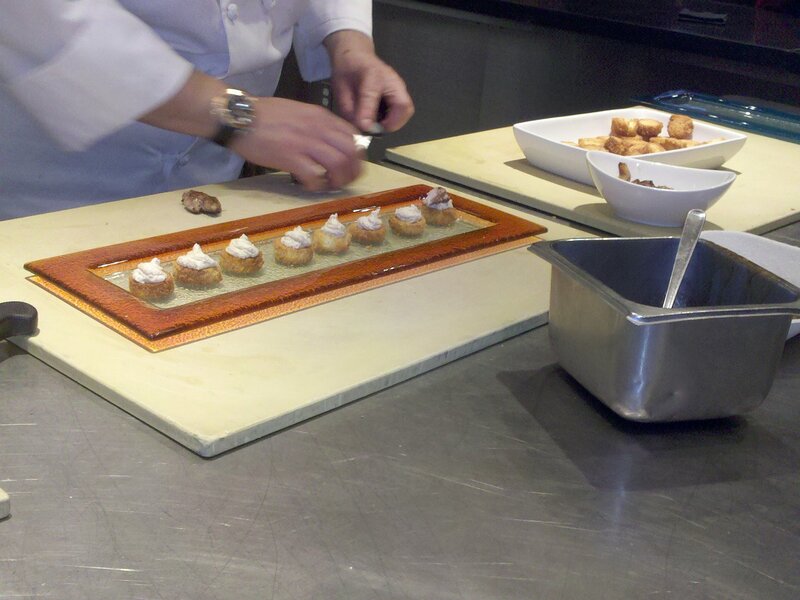 There were 5 wines to taste—2 French rosé sparkling wines, 2 Sicilian red wines, and 1 French dessert wine. There were also some delicious hors d’œuvres, which were made while we were watching, and wonderful cheeses and chocolates. Luscious and warm in my mouth. Michael Gelb reading from "Wine Drinking for Inspired Thinking: Uncork Your Creative Juices"
As for the wines themselves, the night started with bubbly—a Lucien Albrecht Cremant d’Alsace Brut Rosé and a François Billion Brut Rosé Champagne Spécial. 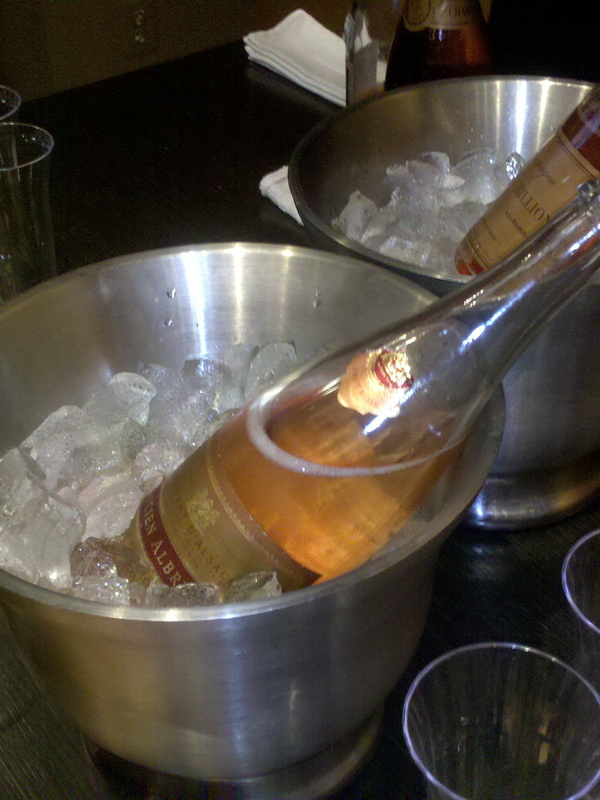 The Lucien Albrecht Cremant d’Alsace Brut Rosé (vineyard, snooth) was made with 100% Pinot Noir grapes. The sparkler was a light, salmon color with persistent bubbles. On the nose and the mouth, there were red fruits and flowers, with a hint of toastiness. 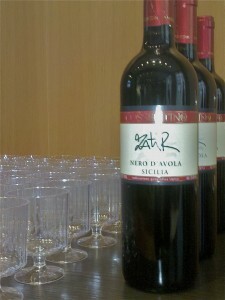 The wine had nice acidity, was refreshing, and made for a pleasant start to the tasting. At $20, this is definitely a sparkling wine worth looking into. The François Billion Brut Rosé Champagne Spécial (vineyard, snooth) was a blend of Chardonnay, Pinot Noir, and Pinot Meunier grapes. 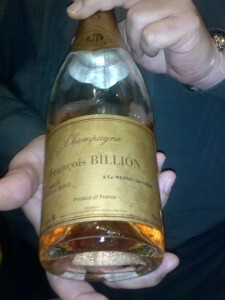 The wine was a medium pink, with a lot of small, persistent bubbles. The sparkler had a beautiful nose, full of toast and a hint of strawberries and cherries. In the mouth, there was toast, cream, cherries, and strawberries. The wine had a crisp acidity, which was very refreshing. At $55, this wine was by far the best of the night. 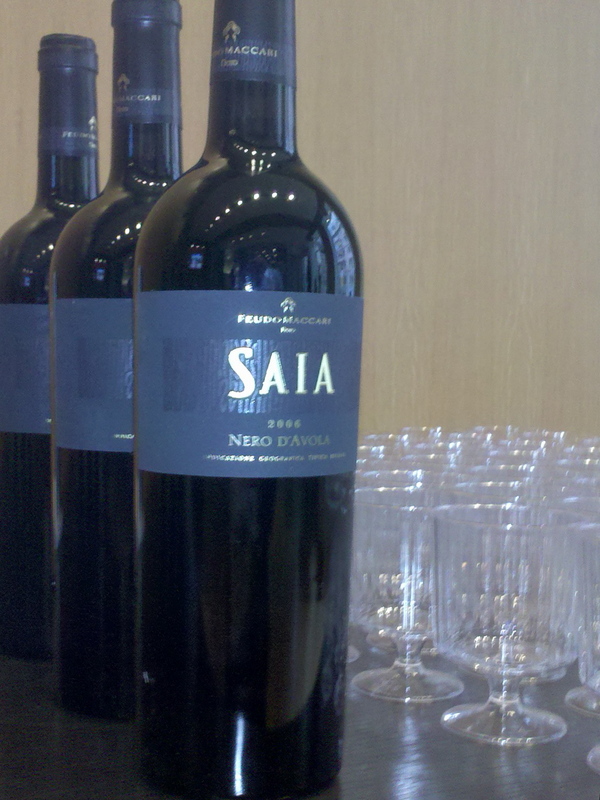 The two red wines were both made in Sicily from the Nero d’Avola grape—the Cossentino and the 2006 Feudo Maccari Saia. The Cossentino Nero D’Avola (snooth) was a deep purple. On the nose, there were big fruits, lots of wood, and some herbaceousness. In the mouth, the wine had something “funky” mixed in with blackberries. It was very acidic, and even at $12, it’s not a wine I would recommend. 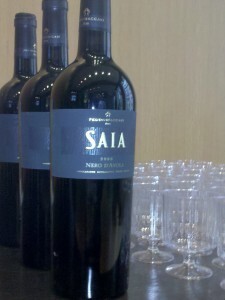 The 2006 Feudo Maccari Saia Nero d’Avola (vineyard, snooth) was also a deep purple. On the nose and in the mouth, there were blackberries, cooking spices, and lavender. The wine had a full, luscious body, with smooth, soft tannins. At $42, this wine offers something a little different from the better-known Italian wines. If you’re looking for a new grape, this Sicilian red is worth considering, even at the higher price-point. The last wine of the night was an intense dessert wine that paired beautifully with Zola Wine & Kitchen’s handmade chocolates. My favorite was pairing the salted caramel squares with the 2007 Domaine du Mas Blanc Rimage Banyuls (vineyard, snooth). The Rimage was a dark, inky purple. On the nose and in the mouth, there were ripe dark cherries, raspberries, and cocoa dust. The fuller body mixed nicely with the creaminess of the caramel in the chocolate. 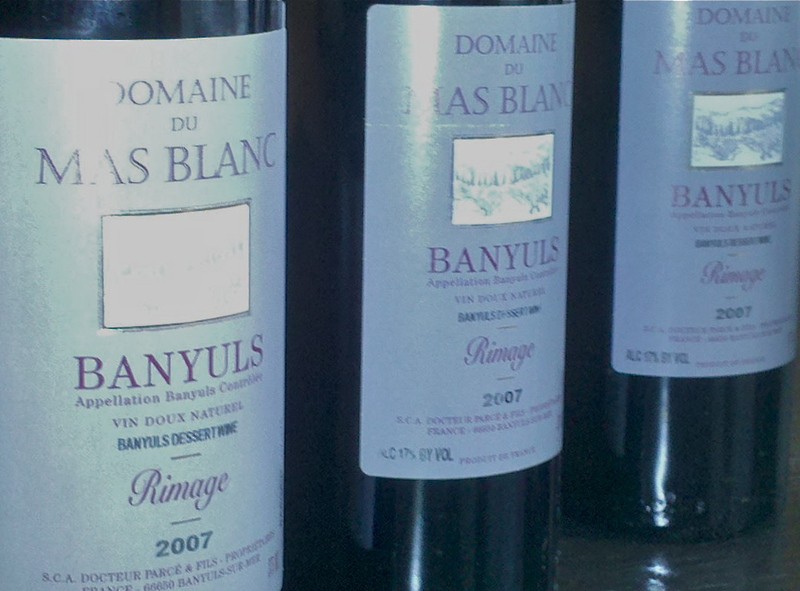 At $30, this wine is a nice dessert wine that isn’t overly sweet. I was surprised to be the only blogger at the event, but that worked out well, as it gave me a chance to talk with Gelb not only about his books, but also about wine blogging and twittering. I was also thankful that Anne was able to give me the ticket for $30 instead of the full-priced $60, as that was probably a little over priced for this event. That said, I had a good time tasting wine, listing to other attendees’ wine-inspired writing, and meeting Michael Gelb. I look forward to sharing my thoughts on Wine Drinking for Inspired Thinking: Uncork Your Creative Juices, once I’ve had a chance to read it. In the meantime, Kudos to Heather Freeman PR, Hooks Books, and Zola Wine & Kitchen for putting together a good event and to Michael Gelb for publishing his latest book.